Unlike countries with a fair use exemption, copyright laws in Australia require artists to secure prohibitively expensive licences for even the smallest quotation of others’ work. By Patricia Aufderheide. 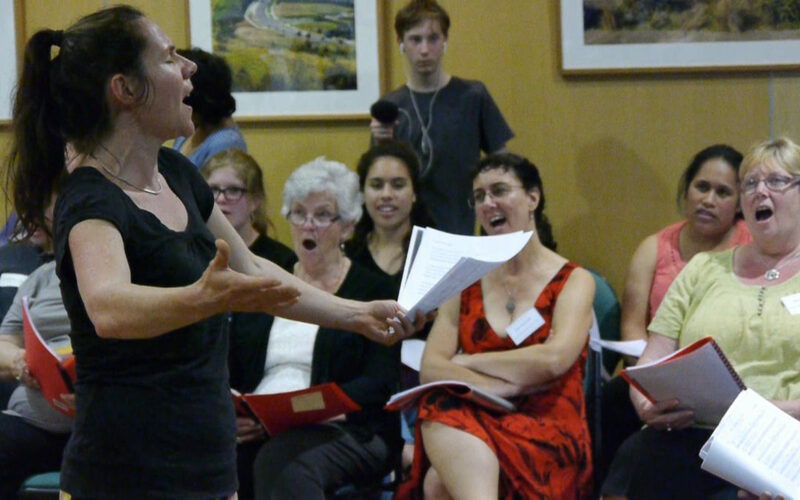 Once a year, in early October, about 60 people gather at the City of Whittlesea’s Fountain View Room in the northern fringes of Melbourne to begin 10 weeks of rehearsal for a single concert. They span generations – aged from eight to over 90 – cultures and faiths. For nine months of each year they never see each other, and then they come together to sing Christmas carols as part of a healing process that began after the 2009 Black Saturday bushfires. Filmmaker Andrew Garton has documented one year’s worth of rehearsals with the help of a grant from the council and volunteers from First Impressions Youth Theatre. The result, a 30-minute documentary called This Choir Sings Carols, will probably never be seen. 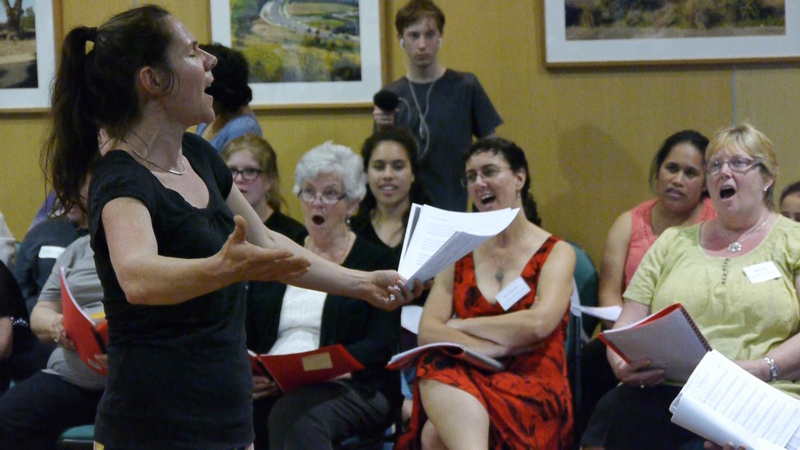 A scene from Andrew Garton’s documentary film ‘This Choir Sings Carols’.